Mr. Hussain Sardar (Additional Secretary Punjab) delivering Lecture on ” Good Governance vs Accountability and Terrorism” at Aafreen CSS/PMS Institute in collaboration with CSS Times (www.csstimes.pk). Lecture Date : January 28, 2019. Garden Town. Behind Barket Market, Lahore. 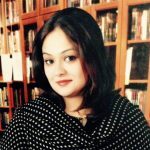 Dr Madiha Fatima have completed her BDs from De Montmorency College and Pharm-D from University of Lahore. There is an amazing power of "getting to know your own learning skills and how to use it", her journey didn't stop here. She attempted Civil Superior Services (CSS) and Provincial Management Service (PMS). Meanwhile she discovered that she have come too far to quit now, and decided that "this is the moment", she should start guiding the graduate's about CSS/PMS studies. From there her journey started as a teacher/mentor/motivator but not a money maker and Aafreen institute for CSS and PMS came into being. Now she is a teacher, it's how she define herself. A good teacher isn't someone who gives the answers out to their students but to understand the needs, challenges and gives tools to help them succeed further. Dr Madiha Fatima have completed her BDs from De Montmorency College and Pharm-D from University of Lahore. There is an amazing power of "getting to know your own learning skills and how to use it", her journey didn't stop here. She attempted Civil Superior Services (CSS) and Provincial Management Service (PMS). 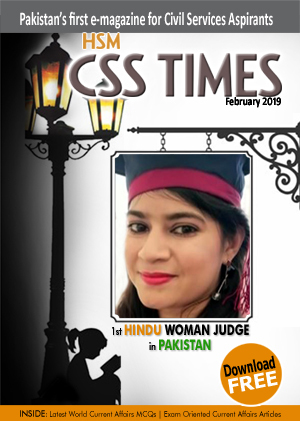 Meanwhile she discovered that she have come too far to quit now, and decided that "this is the moment", she should start guiding the graduate's about CSS/PMS studies. From there her journey started as a teacher/mentor/motivator but not a money maker and Aafreen institute for CSS and PMS came into being. Now she is a teacher, it's how she define herself. A good teacher isn't someone who gives the answers out to their students but to understand the needs, challenges and gives tools to help them succeed further.